How are Proof gold coins from the 19th century graded differently than their business strike counterparts? In order to fully grasp the topic of this blog, there are a few concepts that I’d like to introduce. The first is the mistaken concept that “Proof” refers to a grade. 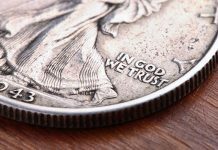 Proof is actually a method of manufacture that entails striking coins with care on specially polished planchets and often using multiple blows of the dies. Proofs are made in limited quantity and are produced by the Mint for collectors. Business strikes, on the other hand, are not afforded any special care or striking and they are produced for circulation with little thought regarding their appearance or quality. Thus, by their very nature, Proofs should have a “better” appearance than business strikes. As I have explained before, grade is a shorthand that denotes the appearance of a coin. As collectors we have established expectations of a grade. In other words, we expect an MS63 or PR63 coins to have a nice appearance but a few noticeable marks or flaws which remove it from a higher category in the grading continuum. Expert graders use a number of factors to establish the grade of a coin. These include surface preservation, strike, luster, coloration and eye appeal which, in theory, is a combination of these individual factors. The area in which Proofs differ most from business strikes is surfaces; both characteristics and preservation. Proofs generally did not circulate so they are not as prone to nicks, abrasions and marks as much as business strikes are. Proofs were generally better handled as well as they went into collections (i.e., people who cared about the coins and ostensibly knew how to handle them) as opposed to going into circulation (where they were roughtly handled by non-collectors). Also, Proofs were carefully transported after minting unlike business strikes that were often shipped loosed in bags to banks. When determining the grade of an Uncirculated gold coin, the quantity and placement of abrasions is extremely important. With Proofs, marks tend not to be as big of an issue. Around 15-20% of all known Proof 19th century gold coins are in some way “impaired.” This is typically from having been placed into circulation at one time. 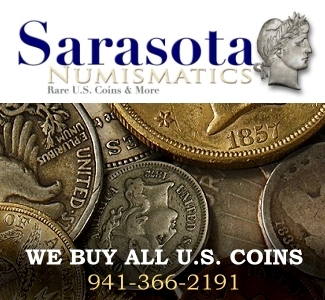 (The reason for this, I believe, is that Proof gold coins sold for a very small premium even as late as the early 1930′s and as the economy grew weaker and weaker during this era, coins like double eagles with a high face value and low numismatic premium were placed into circulation as a matter of survival for their owners). But most Proofs have “better” surfaces, for the grade, than do their Uncirculated counterparts. The bane of Proof gold coins are hairlines. Hairlines are thin, fine scratches in the surfaces that are caused by cleaning, wiping or poor handling. On a proof coin, with bright, reflective surfaces, hairlines are easy to see and can be very detracting. On a business strike, with surfaces that tend to be satiny or frosty, hairlines can be more difficult to detect; especially by an unsophisticated eye. Therefore, Proof gold coins are graded more based on a standard that involves hairlines or a lack of them. I just mentioned that business strikes have a number of different textures such as frosty or satiny or even prooflike or semi-prooflike. 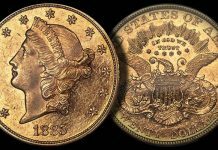 Brilliant Proofs from the 19th century all have the same basic reflective appearance although some issues (especially gold dollars and three dollars) might have an “orange-peel” texture while others have a smoother, more even texture. This consistency of texture makes it easier, in my opinion, to grade Proof gold coins than it to grade business strikes. One negative aspect about a Proof’s reflective, brilliant surfaces is the fact that marks and hairlines tend to be more amplified. An MS63 might have a few marks or hairlines that don’t really detract much from the overall appearance. On a PR63 gold coin, the same marks or hairlines could be extremely detracting based on the fact that they are more “in your face” because of the surface’s reflectiveness. On 19th century business strike gold coins, strike is a fairly minimal factor in determining grade. On Proofs, it is basically a non-issue. Because they are well-made with great care, most Proofs gold coins are very well struck. On the few that show some degree of weakness, this isn’t considered enough of a factor to remove a point or two from the overall grade. Color is an important factor on business strike gold coins. A reasonably abraded Dahlonega half eagle with good luster but poor color might only grade MS60. The exact same coin with great natural color could be pushed up to an MS62 because the hues it shows add great eye appeal. Until a decade or so ago, it was not uncommon to find Proof gold coins with deep, original coloration. Today, such coins are nearly impossible to find. 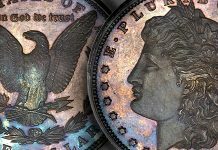 The reasons for this are many but the most significant is that the grading surfaces tend to like bright, flashy gold coins and an 1874 eagle with deep, naturally hazy surfaces won’t have the “look” that is favored by today’s graders and collectors. In my experience, the highest grade that a totally original, hazy 19th century gold coin will be graded by NGC or PCGS is PR65 or possibly PR66. In order to get a “supergrade” (PR67 and above) a gold coin has to be bright and shiny. Thus, it gets dipped. Another interesting factor to consider is the premium paid for adjectival modifiers such as Ultra Cameo or Deep Cameo. A deeply toned, hazy gold coin almost never gets one of these modifiers. A bright, reflective gold coin that shows contrast between the devices and fields does. 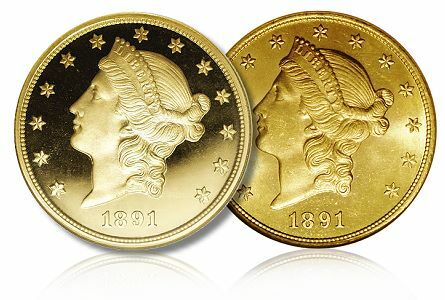 Thus, Proof gold coins with attractive deep color get dipped or brightened in order to become Deep Cameos or Ultra Cameos. Its sort of sad but its also an economic reality of the rare coin market. There are a few other things to consider when discussing how Proof gold coins get graded differently than business strikes. Early Proofs don’t show adjustment marks as on business strikes but early business strikes don’t tend to show lintmarks as seen on some Proofs. This tends to nullify each other and neither factor is ultimately that important. In other words, a PR65 gold coin can have a few lintmarks just as an MS65 Heraldic Eagle ten dollar gold piece might have a few light adjustment marks. Ultra rare Proof gold coins tend to get a one point to one point plus push just like their business strike counterparts do. 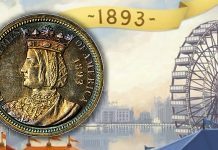 In other words, because of its rarity and mystique, a Proof 1875 three dollar gold piece might get graded a little less strictly than a similar quality 1885 Proof three. I’m not saying that this is right or wrong but it just seems like a numismatic fact of life. So are Proof gold coins held to a different standard than their business strike counterparts? I would say that the answer is a strong yes. I don’t think that grading of Proofs is any less strict (or more strict) than it is for business strikes. It’s just different, for a number of reasons as touched on above. 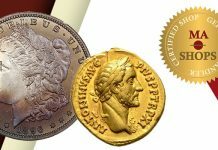 I’d love to hear your comments on grading Proof gold coins. Please feel free to add a comment to this blog or email me at dwn@ont.com.